Wir möchten uns bei allen Mitgliedern des Softwareteams für die geleistete Arbeit bedanken. Alle Teams bestehen aus Freiwilligen. Wenn Sie die Arbeit des Software-Teams, einschließlich der Überprüfung, unterstützen möchten, spenden Sie bitte, um diesen Service weiter zu betreiben. Danke. 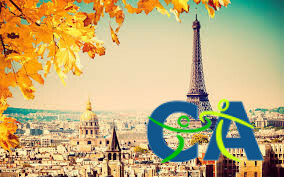 This entry was posted in News, Progress, Systems and tagged New Roots, root certificate, Root Re-Signing, Software on 2019-04-11 by Etienne Ruedin2. Nous aimerions remercier tous les membres de l’équipe du logiciel pour le travail qu’ils ont fait. Toutes les équipes sont composées de bénévoles. Si vous souhaitez soutenir le travail effectué par l’équipe du logiciel, y compris la révision, veuillez faire un don pour continuer à faire fonctionner ce service. Merci. As described in https://www.us-cert.gov/ncas/alerts/AA19-024A the US Cybersecurity Agency warns about hackers trying to hijack DNS servers, and manipulating them to obtain SSL certificates for the hijacked domains. 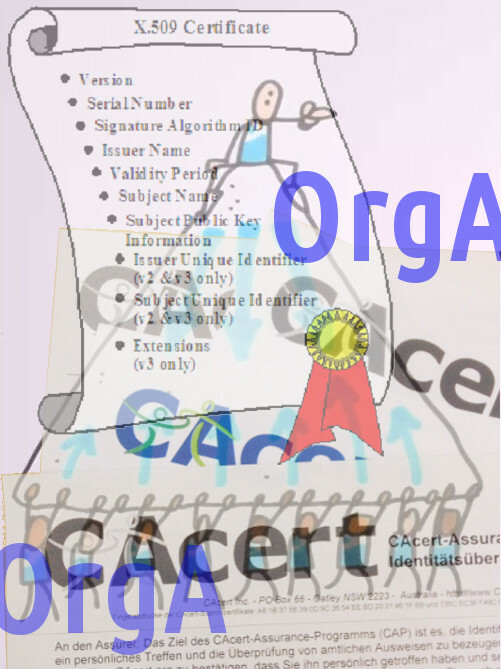 This is a serious problem, since the vast majority of certificates, including CAcert’s “Class 1” certificates for non-assured members, are issued on “proof of DNS control” only. “Extended Validation” certificates, which assure the real person or organisation controlling the domain, are not affected by this threat. But they are usually extremly expensive when requested from a commercial CA. CAcert’s “Class 3” certificates for assured members, as well as CAcert’s Organisation Assurance are a (mostly) free alternative for those certificates, with an overall security level which is at least compareable, if not better! Know whom to trust! 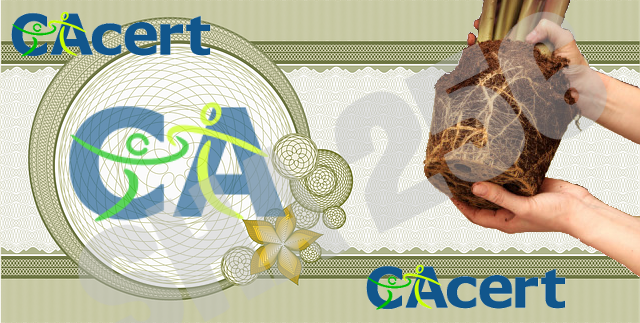 Ask us on cacert@lists.cacert.org if you want to know more details! This entry was posted in Information, News on 2019-01-25 by Ted. Erstens: Weil eine Mehrheit der Wähler Ihnen das Vertrauen geschenkt hat, heißt das nicht zwingend, dass Sie in IT-Fragen den besseren Durchblick haben, als die Mehrheit der Wähler. Nur, wenn Herr Kreti oder Frau Pleti gehackt werden, interessiert das niemanden einen alten Hut, bei Ihnen kommt es groß in den Nachrichten und ist womöglich von strategischer Bedeutung. Zweitens: Die großen Anbieter sind amerikanische Großfirmen, wie Microsoft, welche von ihrer Regierung verpflichtet sind, denen eine Hintertür offen zu lassen. Hintertüren sind jedoch immer Schwachstellen. Die Alternative ist quelloffene Software. Fairerweise nicht einfach irgendwo heruntergeladen und gratis genutzt, sondern sowohl finanziell, als auch in der Weiterentwicklung unterstützt. 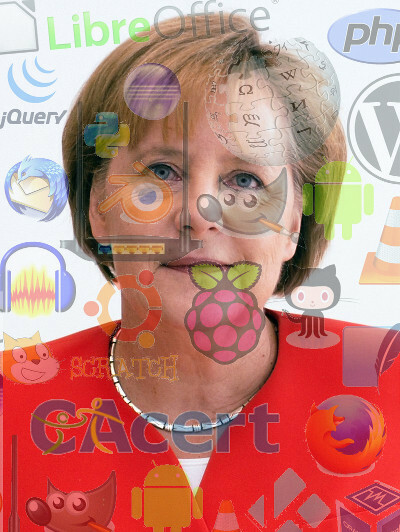 Spielen wir einmal mit den Gedanken und stellen alle IT-Spezialisten des Bundes und der Länder einen haben Tag pro Woche frei, um an einem spezifischen Projekt mitzuentwickeln. Das können Standardanwendungen sein wie LibreOffice (statt Microsoft Office) oder dienstspezifische Spezialsoftware. Wer der Einfachheit halber – wie Ihre Kollegen in Bern – seine Verwaltung mit Skype telefonieren lässt, kann gerade so gut jedes e-Mail per CC an Donald Trump senden lassen. Sie haben Recht, wenn Sie einwenden, dass quelloffene Software nicht per se sicherer ist, als kommerzielle Angebote; aber da die Quellen offen liegen, ist die Wahrscheinlichkeit wesentlich höher, dass Mängel entdeckt werden – vor allem auch, wenn Ihre besten Spezialisten regelmäßig danach suchen und wie oben skizziert Zeit haben, mit anderen Spezialisten sie dann umgehend zu beheben. Da sparen Sie nicht viel Geld, bekommen jedoch einen wesentlich höheren Mehrwert für die eingesetzten Steuergelder. In einigen Schweizer Kantonen sind Clouddienste für Schulen aus Sicherheitsgründen verboten. Auch wenn wir keine Freund von Verboten sind, ist der Ansatz insofern bedenkenswert, den Mehrwert der ständigen Erreichbarkeit gegen die Sicherheit aufzuwiegen. Die Antwort wird ebenso unbequem sein, wie bei den Passwörtern: je einfacher, desto unsicherer (oder umgekehrt: Sicherheit kann man nicht aus dem Ärmel schütteln). PS. Wenn Sie uns im Rahmen Ihrer Opensourcestrategie für eine gewisse Zeit einen Auditor und einen Programmierer abdetachieren, wird Ihre Regierung schon bald über die sichersten Zertifikate verfügen. Unterstützen Sie unsere Freiwilligen, indem Sie sich an den laufenden Kosten unseres Rechenzentrums in den Niederlanden beteiligen. Mehr Sicherheit, weniger Phishing dank digitaler Signatur mit kostenlosem X.509-Zertifikat. This entry was posted in News and tagged audit, Berlin, Certificate on 2019-01-06 by Etienne Ruedin. According to estimates, around six million people of the eight million inhabitants in Switzerland use the Whatsapp news service in their private lives. In Germany and Austria, the figures will probably be similarly high. This type of communication is so self-evident that more and more companies want to communicate with their employees and customers with Whatsapp: Picture messages of a place to be repaired, details of a booked flight or even direct advertising. The well-known news service explicitly allows operational use and offers a business version for SMEs and an interface (API) for large companies. The list of advantages is long: uncomplicated, direct, shorter decision paths, cost-effective customer service, etc. – what more do you want? Since 2017, however, more and more companies have prohibited their employees from using Whatsapp, as the basic EU data protection regulation stipulates that personal data may neither be collected nor processed without the consent of the person concerned. No company wants to afford the imminent fines of several million euros. The problem lies in the way the messsanger service operates. It regularly reads the address books of its users in order to compare them with its database. In this way he can display contacts that are new to the service. They have never given their consent. 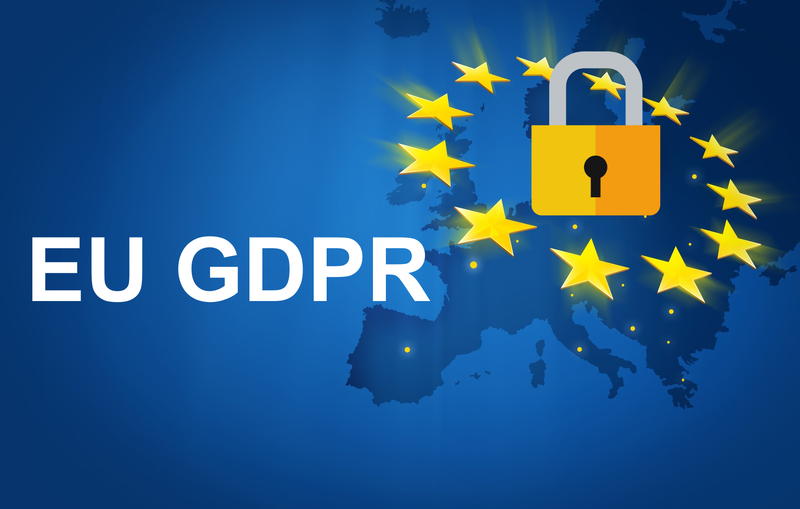 This is therefore a violation of the general data protection regulation, which also applies to companies that have only one contact in the EU. If it is either a service telephone or a private one on which business contacts are stored with the consent of the company, the company is liable. If the employees use their own device in the company, no synchronization with the data processing systems may take place. Thus, the employee processes personal data without the employer’s permission and is then liable for possible violations of the law. If the intelligence service is to be used in compliance with data protection regulations, there must be two separate address books, one internal, with only those persons who have given their consent to the transfer of their personal data to Whatsapp. Another possibility is the use of a GDPR-compliant messenger in the company. The disadvantage of this solution, however, is that such messengers have not yet become widespread and can therefore hardly be used in contact with customers. The sending of encrypted and signed e-mails is in compliance with the general data protection regulation. 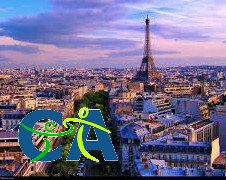 With the Organisation Assurance Programme, CAcert offers companies a simple and practical solution. The systematic sending of digitally signed e-mails offers customers the opportunity to clearly distinguish messages from spam and phishing. The encryption of internal e-mails increases security and is technically easy to implement, as the IT department rolls out the corresponding certificates. 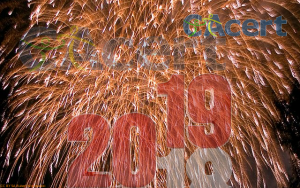 This entry was posted in Information, News and tagged CAcert, CAcert.org, Organisation Assurance, organisations, security on 2019-01-03 by Etienne Ruedin. 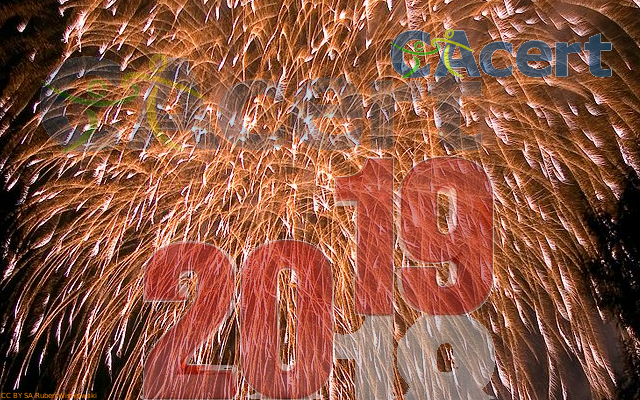 Don’t miss new functions, new possibilities and the new forward strategy of CAcert in 2019. In 2018 we started again support, software team and arbitration. Now, board and active members of the community are hard workng on the next steps. Support our volunteers by contributing to the running costs of our data centre in the Netherlands. More security, less phishing thanks to digital signature with free X.509 certificate. Verpassen Sie nicht neue Funktionen, neue Möglichkeiten und die neue Vorwärtsstrategie von CAcert im Jahr 2019. Im Jahr 2018 haben wir Support, Software-Team und Arbitration wieder aufgebaut. Jetzt arbeiten Vorstand und aktive Mitglieder der Gemeinschaft hart an den nächsten Schritten. Unterstützen Sie unsere Freiwilligen, indem Sie sich an den laufenden Kosten unseres Rechenzentrums in den Niederlanden beteiligen. Mehr Sicherheit, weniger Phishing dank digitaler Signatur mit kostenlosem X.509-Zertifikat. Ne manquez pas les nouvelles fonctions, les nouvelles possibilités et la nouvelle stratégie d’avenir de CAcert en 2019. En 2018, nous avons recommencé le support, l’équipe logicielle et l’arbitrage. Aujourd’hui, le comité et les membres actifs de la communauté travaillent d’arrache-pied aux prochaines étapes. Soutenez nos bénévoles en contribuant aux frais de fonctionnement de notre centre de données aux Pays-Bas. Plus de sécurité, moins de phishing grâce à la signature numérique avec certificat X.509 gratuit. Não perca novas funções, novas possibilidades e a nova estratégia de avanço do CAcert em 2019. Em 2018 iniciamos novamente o suporte, a equipe de software e a arbitragem. Agora, a diretoria e membros ativos da comunidade estão trabalhando arduamente nos próximos passos. Apoie os nossos voluntários contribuindo para os custos de funcionamento do nosso centro de dados na Holanda. Mais segurança, menos phishing graças à assinatura digital com certificado X.509 gratuito. This entry was posted in News and tagged Board, CAcert, Committee, Community, Software, Support on 2018-12-31 by Etienne Ruedin. CAcert va de l’avant! Vous avez au moins 100 points de confiance et vous auriez aimé devenir un accréditeur depuis longtemps? Malheureusement, votre anglais n’est pas si bon que ça, vous aimeriez passer le test d’accréditeur (CATS) en français? Réjouissez-vous avec nous: des volontaires de Belgique, de Suisse et de France ont localisé le système de test et il est maintenant disponible en français. Maintenant, ils travaillent d’arrache-pied pour traduire également les questions du test. Nous sommes confiants que le CATS francophone sera disponible au début de 2019 ou au printemps. Motivez nos bénévoles avec un don généreux pour couvrir les frais de fonctionnement des serveurs. ou faites un don Paypal unique du montant que vous désirez pour nous aider. Bei CAcert geht es vorwärts! Während wir Deutschsprachigen den CATS schon seit Jahren auf Deutsch ablegen können, stehen unsere westlichen Nachbarn immer noch vor einer hohen Sprachbarriere. Sie haben mindestens 100 Vertrauenspunkte und wären schon lange gerne Assurer geworden. Leider sind Ihre Englischkenntnisse nicht so gut; sie möchten die Assurer-Prüfung gerne in der Sprache Molières ablegen. Das wird schon bald möglich sein: Freiwillige aus Belgien, der Schweiz und Frankreich haben das Testsystem lokalisiert und es steht ab sofort auch auf Französisch zur Verfügung. Nun arbeiten sie mit Hochdruck daran, auch die Testfragen zu übersetzen. Wir sind zuversichtlich, dass die französischsprachige Assurer-Prüfung Anfangs 2019 oder im Frühling zur Verfügung steht. Motivieren Sie unsere Freiwilligen mit einer grosszügigen Spende zur Deckung der Betriebskosten der Server. CAcert is moving forward! We have a lot of members in Belgium, France and Western Switzerland. They have at least 100 assurance points and would have liked to become an Assurer a long time ago. Unfortunately, their English is not so good; they would like to take the Assurer exam in Molière’s language. There are good news: volunteers from Belgium, Switzerland and France have localised the test system and it is now available in French. Now they are working hard to translate the test questions as well. We are confident that the French CATS will be available in early 2019 or spring. Motivate our volunteers with a generous donation to cover the running costs of the servers. This entry was posted in Information, News, Progress and tagged Assurance, CAcert, CATS, France on 2018-12-11 by Etienne Ruedin. Hilfe: Die Spione wollen die Weihnachtsgeschenke klauen! Als weltweit grösster Anbieter freier Zertifikate unterstützt CAcert den Kryptographie-Adventskalender für Kinder und Jugendliche Krypto im Advent. Mit Hilfe Ihrer Kinder, Enkel, Neffen und Nichten versuchen die beiden Agenten Krypto und Kryptina die Spione abzuwehren. Dabei setzen sie das gesamte Arsenal an Ent- und Verschlüsselungsmethoden ein, die zur Verfügung stehen. Ihre Kinder basteln die nötigen Materialien und entschlüsseln die Geheimbotschaften, um die Spione zu entlarven. Je nach Alter (bis 6. Schuljahr oder ab 6. Schuljahr) ist der Schwierigkeitsgrad unterschiedlich. Die beiden erfahrenen Agenten Krypto und Kryptina unterstützen ihre Helfer mit einer täglichen Videobotschaft. Einschreiben ab sofort unter http://www.krypto-im-advent.de Der Adventskalender ist eine Initiative der Pädagogischen Hochschule Karlsruhe. Sämtliche Daten werden im neuen Jahr wieder gelöscht. This entry was posted in Events, News and tagged Cryptography, Encryption, Event, Junior, Youth on 2018-12-01 by Etienne Ruedin. You can attend the Meeting from around the globe on IRC. Please, save the date: Fri, 19 Oct 2018, 20:00 UTC / 22:00 @Geneva / 16:00 @New York. If you are a member of the community, but not yet of the association, why not become a member now? 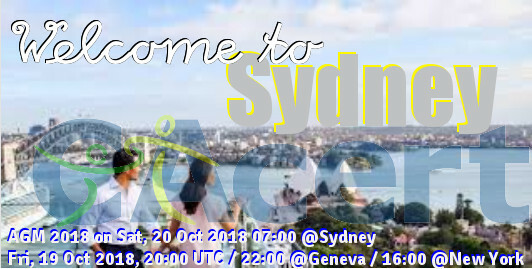 Bienvenue à Sydney, Nouvelle Galles de Sud pour l’Assemblé générale 2018 le vendredi 19 octobre 2018 à 22:00 heures de Paris. Pour vos déplacements, veuillez voyager avec notre partenaire booking.com Si vous êtes un membre de la communauté, mais mas encore de l’association, cela sera l’occasion de le devenir jusqu’en octobre! 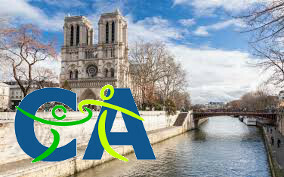 This entry was posted in Events, Information, News and tagged AGM, Australia, CAcert, CAcert Inc, Event on 2018-07-26 by Etienne Ruedin.